Paige's Page: Happy Wizard101 6th Year Celebration!! Wow another year has flown by, it seems like only yesterday I took my very first steps into Firecat Alley, I say Firecat Alley because that is where I decided that this game was going to played for a very long time. Was I kidding? Nope! Wizard101 has taken on speed and has never stopped growing. Throughout the years I have met some really awesome friends, yes you! I have said hello and see ya soon to many players. I've watched Wizard101 branch out to Pirate101. Watched a community manager become what she wanted to be, a Game Designer. We welcomed new Community managers, Leala and Tom "The dynamic duo". I'm so honored to be a part of this growing world of Wizard101. May you have many more years to come. When housing came out in 2009 it was all over for me, from my very first Royal Playhouse to the new Build a Castles. I have been a housing Wizard ever since. I remember the very first time I decorated I placed things around and made a Birthday party house. It wasn't the best but I thought it was a grand house. Now look at us Wizards, we're building our own houses! 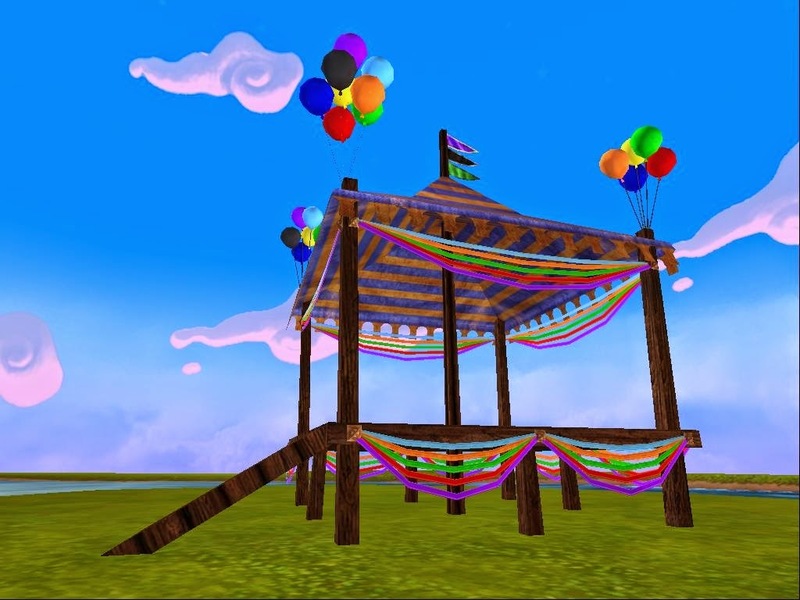 Did you get your Birthday Gala Gazebo for Wizard101 6th year celebration? Wizard101 has kicked off this 6th year celebration early with the free Birthday Gala Gazebo, shown above. 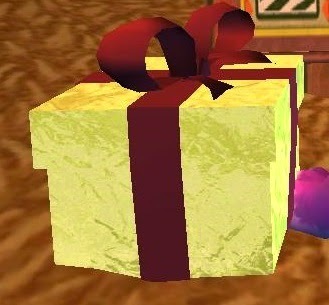 All the birthday decorations, even those fun to find presents, all over the Spiral. If you're looking for a guide look HERE Wizard101 Central as a pretty good one. So go check out all the decorations in Wizard City commons and watch the Phoenix fly around to welcome Wizard101 into another year! 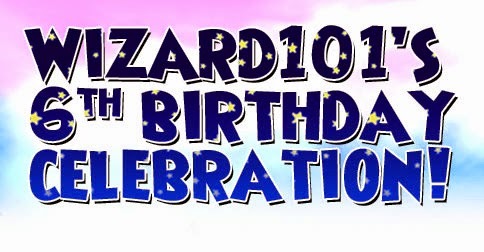 To find out more about Wizard101's 6th year celebration check out Wizard101. See ya in the Spiral!